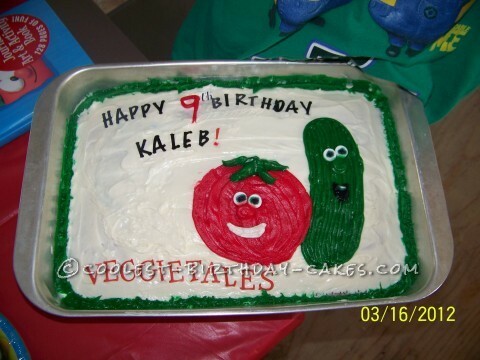 My son wanted a Veggie Tales Birthday party. I decided to make a very simple cake pan cake and just decorate the top. I kept it very simple and clean. I just did the tomato and the cucumber side by side and simply wrote Happy Birthday. This was one of my easiest cakes and he loved it just as much as any of my other cakes.